You found the place.... How much should you offer? Offer too much and feel like you are over paying. Offer too little and get out bid. Tough decision. But this is why you must do your homework. Look online but get out to see as many properties as time allows. Even better let me arrange a tour and we can go look together. Of course Sunday open houses are great for this. Not only are you looking for your new home but you are doing market research on how far your money goes. Get in to see those fast moving properties. See if they do I fact sell quick or if they sit in the market. I do this all day long so I feel confident giving my clients advice on how much a place is worth. 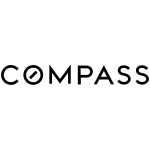 Compass has excellent tools to help you gauge the market. When the time comes and you are ready to make an offer you will be able to act with confidence. You will know what you can afford and have a good understanding of relevant market values.